Slate is a fine-grain, homogeneous rock that derives from shale sediment composing of clay or volcanic ash. It’s malleable breakability yet tough qualities allow it to be broken into thin but durable sheets. 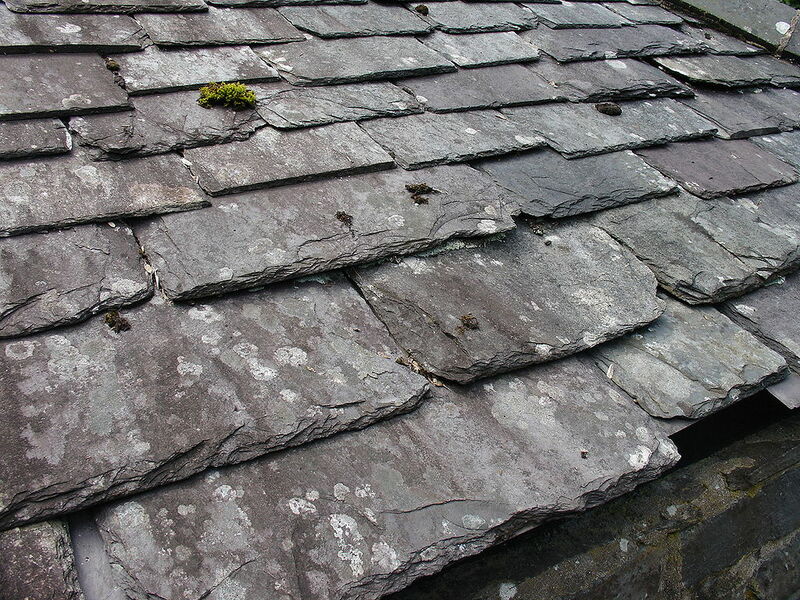 The first recorded slate roof of a private home is reported to be in North Wales, England around 1300A.D. For most people, the material was too expensive and could usually only be found on castles or other militaristic structures. In the 1800s, the Spanish began a quarrying process that was efficient enough to produce slate for everyday homes. It’s specialization in this stone remains to this day since almost 90% of European slate roofing originates from Spain. In America, slate roofs did appear in the 1600s but the first quarry did not open until 1785. That opening allowed it to be available to general consumers. However, it was not until the second half of the 19th century that slate became mass quarried. To this day, Vermont is a major producer, quarrying primarily S1 quality stone. In 1850 Welsh immigrants arrived in Fair Haven, Vermont- the hot spot of slate production. The community had trouble growing the endeavor until railroad could ship out the product. The slate of Vermont and New York is special in its composition. It comes in a rare variety of colors- green, gray, black, purple, and red. It’s the only region in the world that produces such a wide variety of colors. Slate peaked in the early 1900s but then declined as asphalt shingles flooded the market by hugely cheaper pricing of the material. A relatively recent interest in historic preservation and historic style has revitalized the material. The image pictured above is not an example of our work but on a building that is dates beyond 1900.